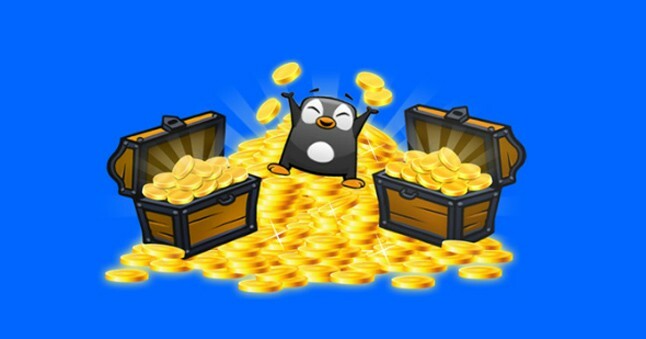 How to Earn TT Points & Win Prizes & Rewards? So finally we are launching an innovative way to earn free rewards and prizes just by surfing this portal alone. We are introducing TrickyTime Deals Hub with a new earning possibilities for our enthusiast readers. TrickyTime Deals Hub will now be a community where you can share your own deals, offers or ask and request other fellow members and in return earn TT Points (a digital currency) which can be redeemed for several prizes and rewards. Well, so in this article, you will learn What are the available ways and methods to grab or earn TT Points which can further help you redeem and win different cool prizes and rewards which includes Free Paytm Cash, Amazon Gift Vouchers, Freebies and much more. TT Points are a revolutionary digital rewarding system through which users can earn and redeem for Digital and Physical Rewards or Prizes. Readers need to first Register to become eligible to earn TT Points. There are several activities available for which users will gain points. Almost every action that user performs on TrickyTime Deals Hub leads to earning of TT Points. Isn’t it Cool?? Well, all those earned Points can be further redeemed or exchanged for several rewards such as Paytm Cash, Gift Vouchers, Mobile Recharges, etc. This prizes and rewards will be available in the Flash Sale which may take place anytime or on special occasions or on any specific day of the Week. We may sometimes declare the Restock or Flash Sale date in advance so you can prepare and be ready to grab. Since it’s going to be a flash sale, the prizes will be limited and hence the sale will be on the first come first serve basis. Ways can change in future and many updates are possible in future. Keep checking this Page regularly for new updates. Just Register at TrickyTime Deals Hub and earn Freee 50 TT Points. You need to verify your Account (Email verification) in order to successfully Register and become eligible for earning TT Points. You can now submit your deals post and earn 50 TT Points per each of your Published Deal. You just need to fill few details on the “Submit Post Form” and if the deal is worth and not published before then it will get published and you will earn 50 TT Points for it. You can earn TT Points for a maximum of 5 Posts Daily. You can now refer your friends to join TrickyTime Deals Hub and Earn 50 TT Points per each successful referral. You can earn TT Points for a maximum of 5 Referrals Daily. You earn TT Points when you add comments to any deals or offers post. You will earn 5 TT Points for each approved comment. You can earn TT Points for a maximum of 10 Comments Daily. Daily open TrickyTime Deals Hub and Login to earn 2 TT Points. If you really like any post or deal or offer then just press the Thumbs Up button available in that post. Doing this will also earn you free TT Points. You will get 2 TT Points for each thumbs up you give. You can earn TT Points for a maximum of 5 Thumbs up (Likes) Daily. If you regularly visit TrickyTime Deals Hub and read or view the deals or offers posts then you can earn points for that too. You will get 2 TT Points for each deal or post you read or view. You can earn TT Points for a maximum of 5 Posts View/Read Daily. If you are fond of watching videos then you can earn TT Points for that too. Very soon, we will come up with a Videos Wall where you can watch videos and you will be rewarded with 10 TT Points for each video you watch. There are different profile activities available which include Adding any New Activity such as updating profile, picture, cover, adding new activity on your wall, etc. You can become friends with other members and earn TT Points. You can even talk and chat with your friends, that too Publicly or Privately and even earn points for that. Do not try to cheat the system. If found then your account may be terminated and all the TT Points will be collapsed. Do not create multiple accounts, let everyone have equal chances. TrickyTime Deals Hub reserves every right to terminate, change or disconitnue any offer or program anytime without any prior notice. So, as of now, this is all. We are going to add/remove more methods in future. So stay tuned and keep earning!